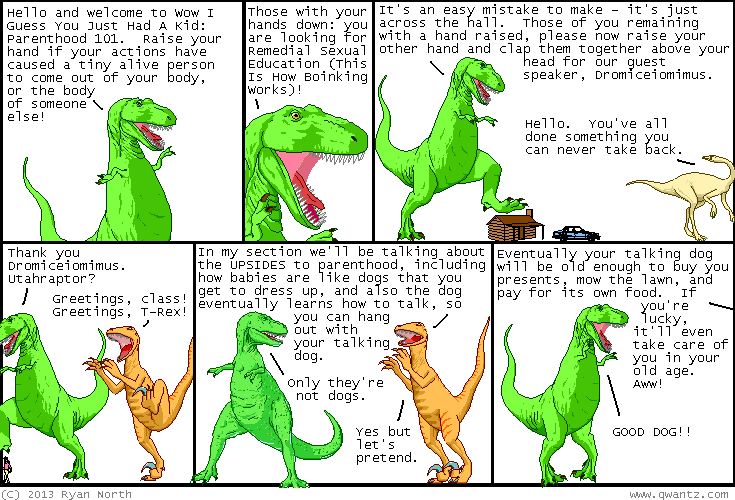 Dinosaur Comics - June 20th, 2013 - awesome fun times! June 20th, 2013: Have you watched my TEDxUofT talk? No? But what if I told you it was... on how to use time travel to become A GOD IN THE PAST? ?